As soon as you attempt to climb up the famous rock or its equally favorite neighbor the "thumbnail" your trespassing on private property. Even worse is that the entire formation is subject to extreme conditions and has a tendency to weather, crumble and fall apart. Climbing will undoubtedly cause some minor, but real damage. It would quickly add up if everyone did it. You will likely end up arrested and having to spend some time in Bad Axe at the county jail. Which would blow up your good time. It is best to follow Leave No Trace principles as a good steward of the environment. Besides the real trick is to get a great shot of the formation at sunrise or sunset. 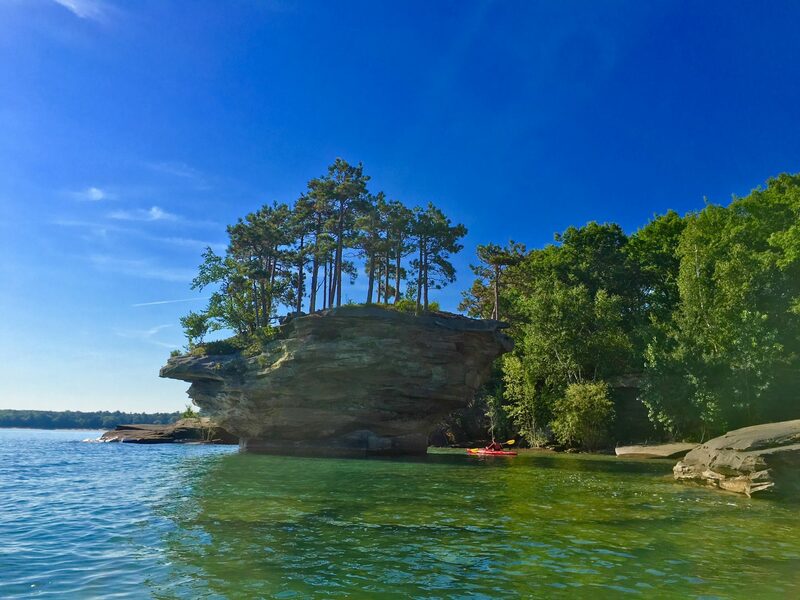 To find out how to get to this formation check out Paddling to Turnip Rock - Five Things to Know on ThumbWind.